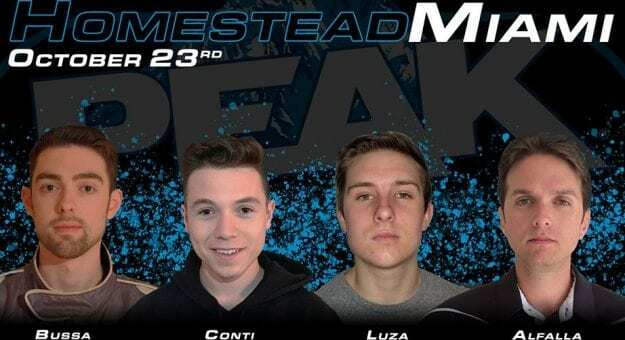 Tonight, four of the greatest iRacing drivers compete for the title of 2018 NASCAR PEAK Antifreeze iRacing Series champion and over $17,000 in cash and prizes. These four — Ray Alfalla, Matt Bussa, Michael Conti, and Ryan Luza — have set themselves apart from the competition throughout a challenging season and a roller-coaster playoff schedule, and now face the most daunting challenge yet: the 2018 winner-take-all finale at Homestead-Miami Speedway. Even though nobody knows what to expect in tonight’s 250-miler featuring the world’s best sim racers, we broke down the four title contenders and their 2018 seasons. How to watch: iRacing Live will stream the RaceSpot TV broadcast live Tuesday at 8:45 p.m. ET. The Jimmie Johnson of the NASCAR PEAK Antifreeze iRacing Series is racing in the Championship 4, which means the competition should remain on the lookout. Alfalla hoped to claim his fourth series championship last year in Miami until a crash ended the 2017 season early at his home track. Expect him to haul the mail. — Alfalla‘s a three-time champ. He knows how to get it done. 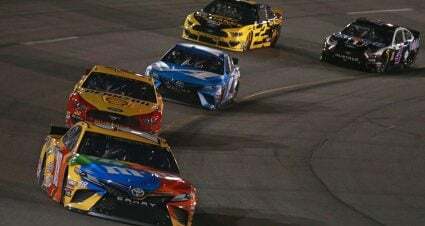 — Five top-five finishes at Homestead, including a win in 2015. — Uncharacteristically won just one race this year. — Finished 30th at Homestead last year after an accident. Bussa is the clear underdog in the championship battle. After all, he‘s the only driver of the four without a prior championship title. 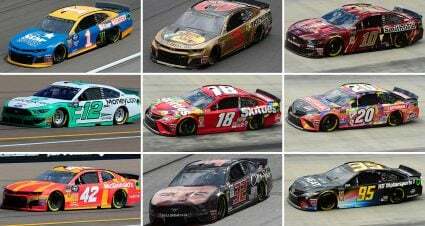 The Illinoisan ran a quiet but consistent season that culminated in a well-timed first career victory at Atlanta Motor Speedway, securing his place among the title contenders. — Won at Atlanta, a 1.5-mile track, similar to Homestead-Miami. — Everybody likes a good underdog story! — Despite racing in the series since 2013, Bussa only scored his first career victory in his 94th start. — He‘s had disappointing results in his five starts at Homestead with finishes of 20th, 29th, 9th, 36th, and 37th. 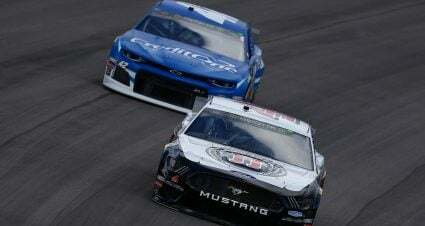 The 2014 series champion Conti is poised for his second title run, and it‘s coming at an ideal time for the Charlotte resident: He‘s turned up the heat in a major way during the playoffs, scoring victories at Darlington and Dover after a relatively quiet regular season. –Peaking (pun intended) at the right time: He‘s finished in the top two in four of the past five races, including two wins — plus he‘s led laps in seven of the past eight races. — He‘s the 2014 series champion. He‘s proven he can do this. — He‘s won at Dover and Darlington. Homestead-Miami doesn‘t start with a D.
— Come on, it‘s hard to find a case against Conti. He‘s really good right now. Luza has been in a league of his own for much of 2018, which is awfully reminiscent of Luza’s 2017 championship season. The defending champ is riding an unbelievable wave of consistency: 13 consecutive top-10 finishes. Combined with four victories this season and the fact that he dominated last year’s finale makes it look likely the championship trophy is heading to Texas again this season. — Despite missing three races in the season, Luza leads all series drivers in every on his only start at Homestead-Miami from the pole, claiming the 2017 title. — With only 29 series starts, he’s by far the least experienced in the field. With a stout field of pro eSports racers and a $10,000 first-place prize on the line, tonight’s race in Miami is one you won’t want to miss.